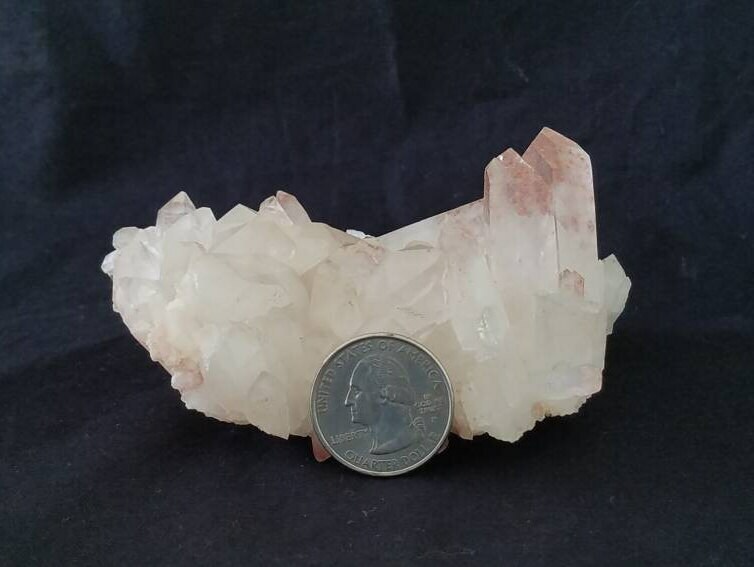 This beautiful lepidocrocite cluster has two clear channeling crystals. 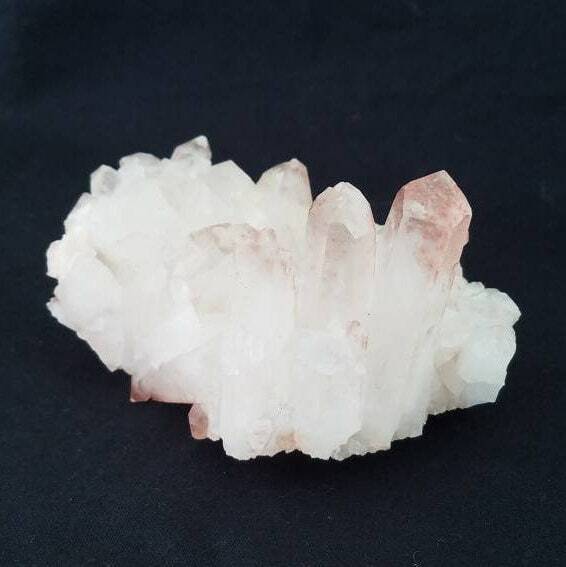 Lepidocrocite is created when hematite gathers within the crystal. Channeling crystals have a seven sided face and have a perfect triangular face directly opposite. 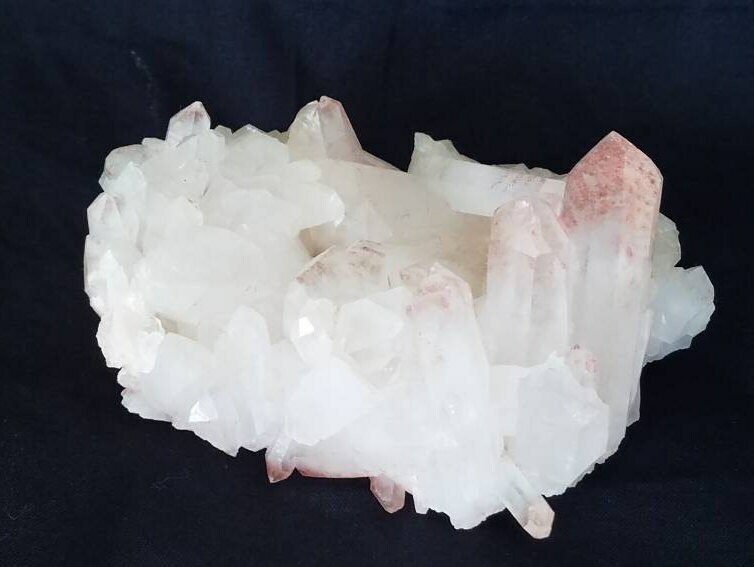 Channeling crystals are believed to be able to help connect to to spiritual realms. The red hematite adds a sprinkle of grounding (root chakra) to the high octave of those channeling crystals. 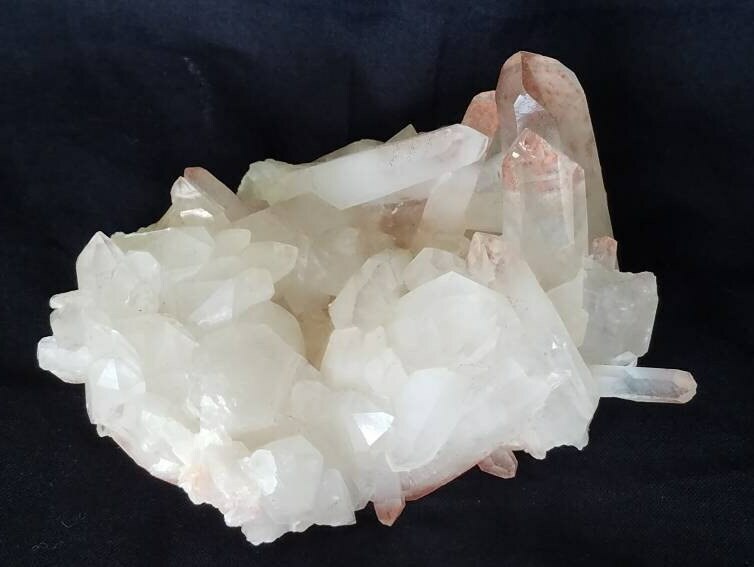 The quartz in the cluster is very white and gives an angelic sense to the overall feel. This is a beautiful additional to any shelf, desk or altar.